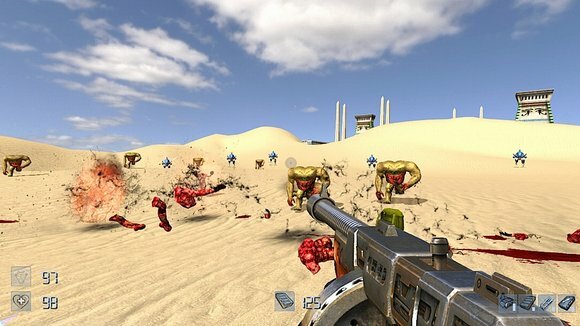 Serious Sam HD: The First Encounter is still steaming...and the Xbox Live Arcade version isn't even released yet - but Croteam has officially announced Serious Sam HD: The Second Encounter is coming to PCs and 360s next year. The remake of the game's sequel will be unveiled at the 2010 World Expo in Shangai China which starts in May of 2010. Croteam is touting a brand new "Co-Op Tournament mode" where "teams compete with one another." Unless there's some other trick to that pony, someone needs to give Croteam the memo, that's called team based versus - not co-op.